Home / celeb / lifetime asia / mong chin / news / Mong Chin takes on KL next in "Who Runs The World"
Mong Chin takes on KL next in "Who Runs The World"
You've seen her exotic snaps on Instagram, now join popular Singaporean social media influencer take on Kuala Lumpur in her very own reality show called "Who Runs The World". The A+E Networks' LIFETIME Asia in partnership with Canon six-parter which made its debut with the first episode on 23 July 2018, sees Mong Chin a.k.a. Mongabong go on epic adventures in six Southeast Asian countries; Singapore, Malaysia, Indonesia, Thailand, Philippines and Vietnam; in over eight weeks. 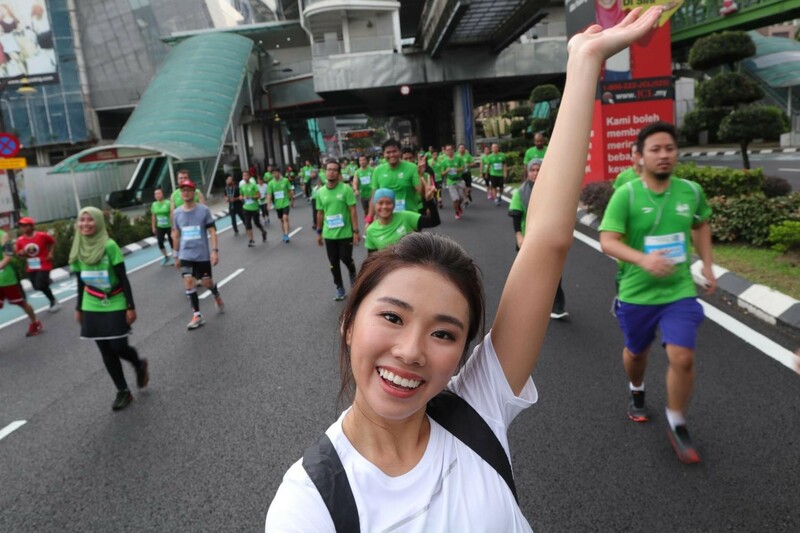 In the second episode which arrives this Monday, 30th July 2018, the 25-year-old will be seen participating in the Standard Chartered Kuala Lumpur Marathon, the country's most established running event. She also meets local fitness icon Nana Al Haleq for a training session then visits batik artist Lazim Ismail and Nadia Hasbi to try her skills on designing hand painted batik sports leggings. We also heard there is rendezvous involved with a Lamborghini and the notorious KL traffic! Nana Al Haleq and Mong Chin at the launch event in KL held recently. All fun things aside, this may sound like a typical celeb series, but the more interesting aspect that sets "Who Runs The World" apart is by showing an everyday person the process and hard work that's involved with being a popular social media influencer, as we see how Mong Chin has to catch up on generating content, taking part in Instagram-worthy activities and meeting other influencers. Mong Chin started out 5 years ago and has since gained 147,000 followers on Instagram and has 50,000 subscribers on YouTube. Now, only 5 episodes remain! So don't forget to tune in to "Who Runs The World" on LIFETIME Asia (Astro Ch 709) every Monday at 9:30pm.